Are you feeling too heavy? 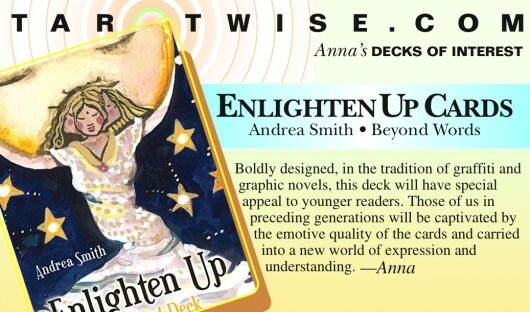 Boldly designed, in the tradition of graffiti and graphic novels, this deck will have special appeal for younger readers. Those of us in preceding generations will be captivated by the emotive quality of the cards and carried into a new world of expression and understanding. © 2019 Anna Jedrziewski and InannaWorks. The Guides say: Get back in the game. The time is right. The available options are awesome. Just do it.